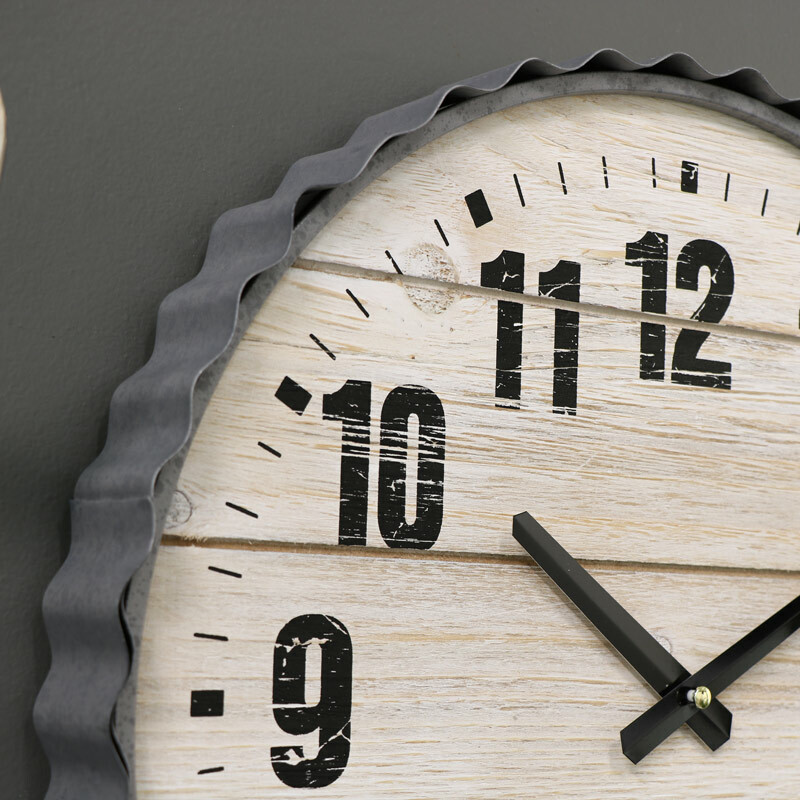 This retro style wall clock will add a striking feature to your home decor. Stylish design that offers hints of the industrial with it's metal frame. Perfect for displaying in the living room or hallway for dramatic effect. Large bold, easy to read numbers in a black printed finish against a natural wooden clock face. This clock will also look perfectly at home in a modern, contemporary styled interior. 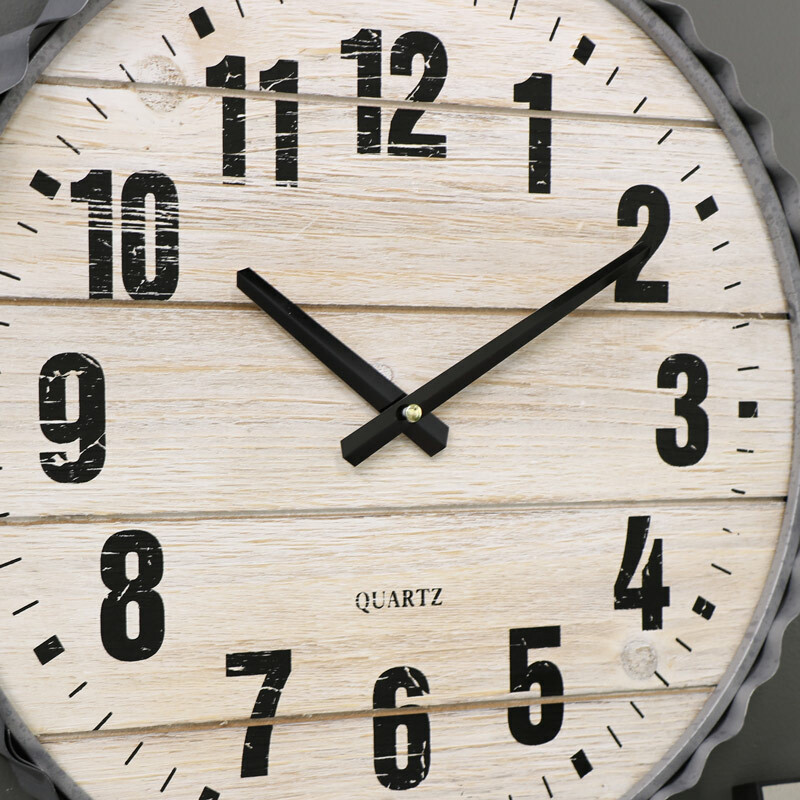 Clocks are one of the best home accessories and can add that finishing touch to any decor. 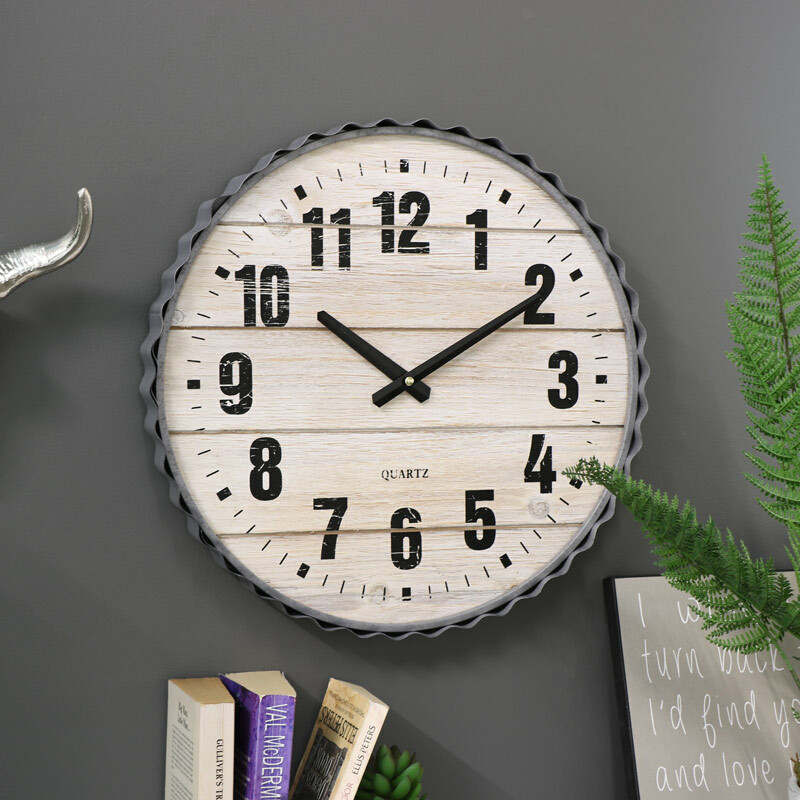 This retro style wall clock will add a striking feature to your home decor. Stylish design that offers hints of the industrial with it's metal frame. Perfect for displaying in the living room or hallway for dramatic effect. Large bold, easy to read numbers in a black printed finish against a natural wooden clock face. This clock will also look perfectly at home in a modern, contemporary styled interior.